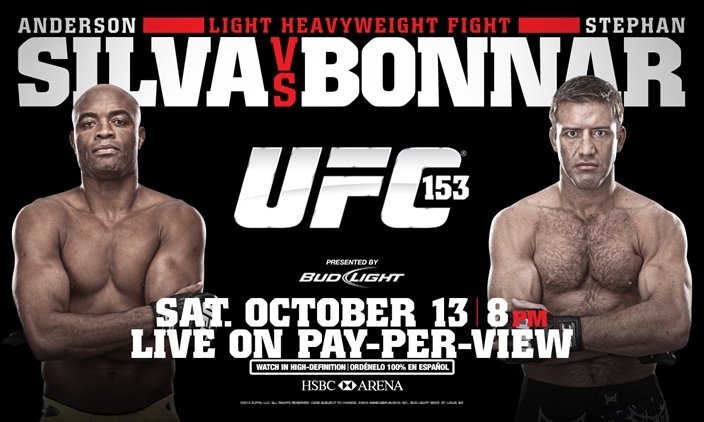 UFC President, Dana White, announced the “Fight Night” winners for the recently concluded “UFC 153: Silva vs. Bonnar” event. The winners were each handed out a cash bonus of $70,000. The “Knockout of the Night” award was given to Mariano Bezerra, who defeated Sam Sicilia via TKO victory at 4:16 of the second round. Antonio Rodrigo Nogueira, received his ““Submission of the Night” award for tapping out Dave Herman with an armbar. “Fight of the Night” went to Jon Fitch and Erick Silva. Fitch ended up earning a Unanimous Decision victory over Silva, with a score of 30-27, 29-28, 29-28.